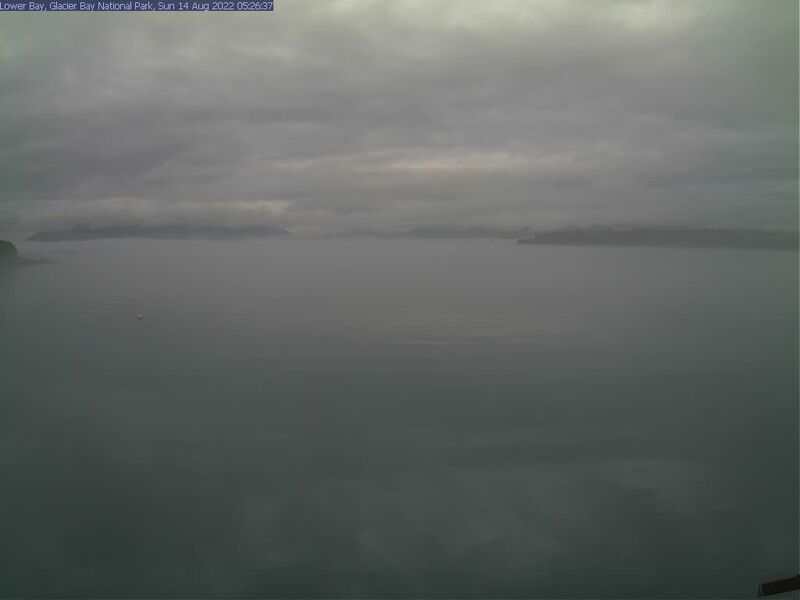 Our webcams allow visitors to experience Glacier Bay from anywhere in the world! Catch a glimpse of some of the incredible wildlife that calls the bay home and witness the rapidly changing weather at Bartlett Cove. 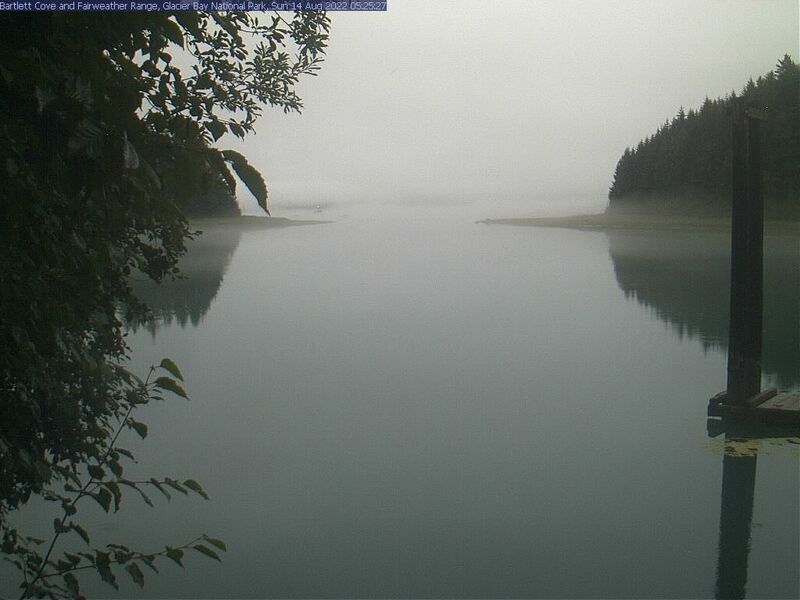 Live view of the Bartlett Cove inner lagoon. Located adjacent to park headquarters, this serene location hosts a variety of wildlife. Watch for river otters, harbor seals, waterfowl, moose, black bears, and an endless cycle of tides. On clear days, summits of the the Fairweather Range are on spectacular display. The scenery changes by the minute ... and this image refreshes every 30 seconds. Two hundred fifty years ago this entire area was covered with ice. Now it’s home to sea otters, humpback whales and orcas. Occasional ships enter Glacier Bay, rounding Point Carolus from Icy Strait; park visitors wander the shoreline, checking out tidepools at Halibut Point. Weather patterns over the Bay change by the minute … and this image refreshes every 30 seconds. The Tlingit Trail follows the shoreline of Bartlett Cove from the Huna Tribal House to the Visitor Information Station and the public-use dock. Interpretive signs explain Tlingit culture and common native plants. A variety of vessels from around the world dock here, including an occasional floatplane. On a clear day the high peaks of the Beartrack Mountains can be seen rising above the forested Beardslee Islands in the distance. View of the Fairweather Mountains on a clear morning from the Bartlett Cove Lagoon. View of Lower Glacier Bay with points of interest identified. 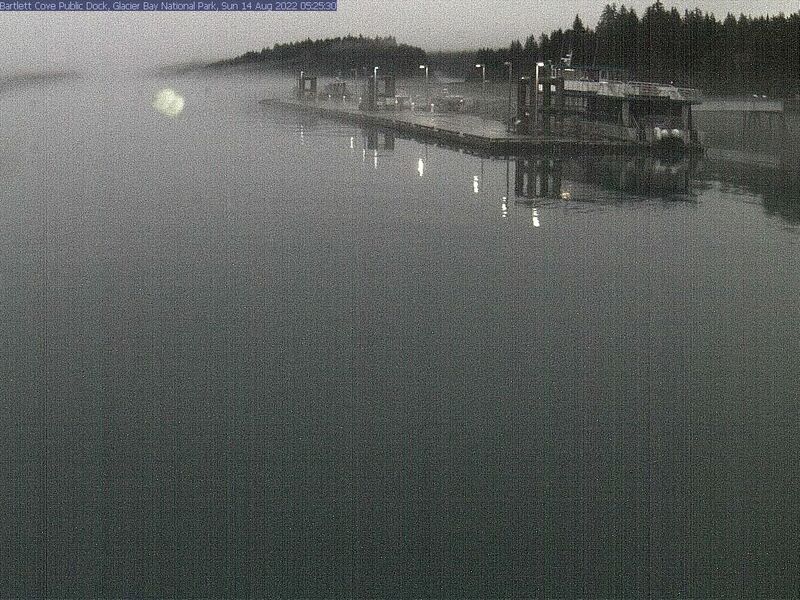 View of the Glacier Bay public-use dock with points of interest identified. 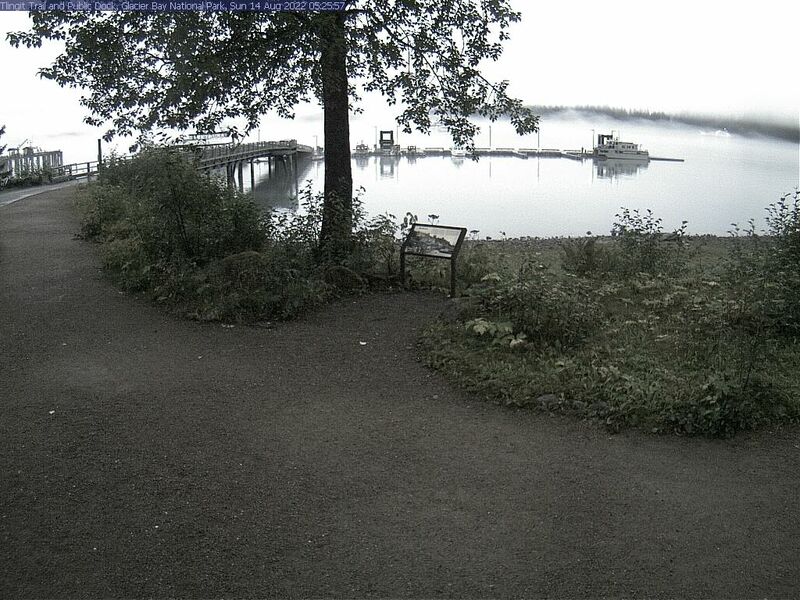 View of the Tlingit Trail and public-use dock in Bartlett Cove, with points of interest identified.